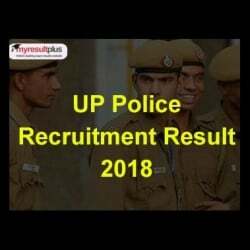 UP Police Constable 2018 Results Declared: The results for the Uttar Pradesh Resident Citizen Police and Reservoir Provincial Armed Constabulary (PAC) direct Recruitment has been declared by the Uttar Pradesh Police Recruitment and Promotion Board (UPPRPB). The candidates who appeared for the examination can visit the official website and check the scores. As per the notification, the results for the UP Resident Citizen Police and Reservoir PAC recruitment written test conducted is expected to be released today at around 2 pm on the official website of UPPRPB and is now declared. The information regarding this was released on the official website of the UP Police Recruitment board. The candidates who appeared for the UP Police recruitment examination can log in on the website through the required details: registered ID and password to check the result. The selection process will be done on the basis of the written test and the physical fitness test. The candidates who are shortlisted on the basis of written exam will be eligible to appear for the physical fitness test which is scheduled to be conducted on December 5, 2018, at 18 centres. The admit cards for the Physical Fitness test will be available on the official website from today i.e. December 4, 2018.